Author’s Note: Native Americans are not gone, and neither is their culture. This article is not intended to mythologize, romanticize, or historicize American Indians of any kind in any way. Instead, its a simple summary of what white people have found about the Native Americans who lived in the area we know today as North Omaha. I hope it is written respectfully, honestly and without pretense. If I’ve screwed up, been rude or disrespectful, or otherwise have done wrong, I invite anyone to let me know in the comment section below, and I will make every effort to correct my errors. This is what a home in the North Omaha area might have looked like in 1,200 AD. A lot of different groups of people lived in the Omaha area before Europeans started stealing the land. Thousands of years ago, big game hunters dominated the area, while later people were farmers and hunters living along the Missouri River. According to the Nebraska State Historical Society, the area from Creighton University to the river was an Otoe earthlodge village around 1700. Archeologists have found that tribes have lived in this region for at least 10,000 years. As long as 2,000 years ago, people from the Woodland culture started living on the Omaha area’s bluffs looking over the river, and farmed the valley. The developed distinct lodges and used farming to subsist and supplement their small game hunting. They would have lived in the North Omaha area. Native Americans lived throughout the Missouri River Valley. The valley was made of a flat, wide bottom covered with forests where the river didn’t flow regularly, and bordered with smooth, rolling hills on the east and west that weren’t covered with forests like today. Instead, they were mostly grass-covered and wind swept with few trees, like an African savannah. 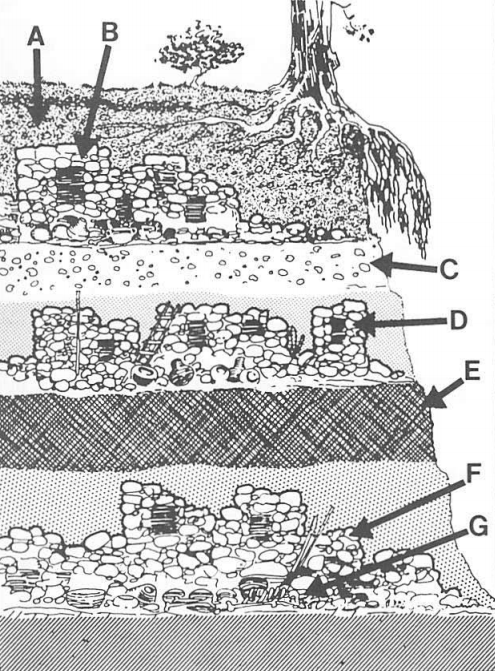 An archaeologist’s 1905 illustration of the layering of homes in Nebraska. With large lodges, small villages and wide open spaces, these groups stabilized. They grew gardens with corn, beans, and squash, harvested wild rice from the Missouri River bottoms, found nuts in the forests there, caught fish in the river and creeks around them, and hunted the deer, elk and bison that were plentiful on the Plains to the west of them. 700 years ago, a massive drought struck the region. By the 1400s and 1500s, modern tribes were moving into the Omaha area. 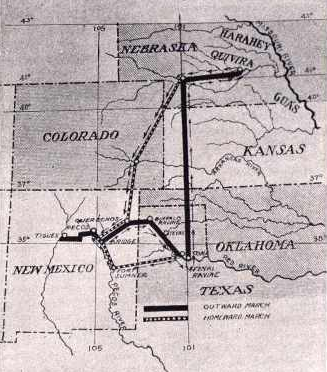 A map of the Spanish conquistador Coronado’s expedition into Nebraska. Expeditions into Nebraska by the Spanish conquistador Coronado in 1541 showed Nebraska to not be home to any mythical Quivera, but to Harahey, the Ponca lands across the state. Instead of finding kingdoms of gold, these money grubbing Europeans found powerful tribes waiting to resist their intrusions: A group of Coronado’s troops were pummeled by Ponca warriors in a bid to get them out of Nebraska. Also, by this period the Ponca were allegedly aligned with the French, who were expanding their trading across the region by this point. The French were at war with the Spanish, and historians suggest the Ponca attacked the Spanish out of this allegiance. France was strategic in dispatching fur trappers and traders across the Midwest at this point. They wanted to control the economics of the Plains states, and Nebraska was a central point for collecting what the Native tribes had to sell: fur. Fur was all the rage across Europe, where they’d long before hunted any valuable animals beyond sustainable numbers. In the region that became Nebraska, animals including beavers, foxes, ferrets, otters and minks were all over. The French came for them. 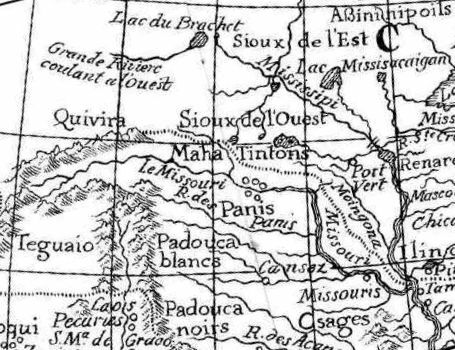 A French map of Nebraska from 1722. The “R. des Panis. is the River of the Pawnees, which became known as the Platte. In 1673, Father Marquette, a French Catholic priest working out of Quebec, mapped Nebraska with startling accuracy, and identified the tribes he met along the way as the Omaha, Pawnee and Otoe. By early 1700s, the French had a strong working knowledge of which tribes occupied which locations in the middle of the present-day United States. They worked closely with many tribes through trade, learned the languages and customs, married into tribes, built homes across Nebraska, and married their daughters into tribes. This built goodwill, and many French traders and trappers were liked. While the French, Spanish, English and Americans rattled sabers over ownership of Nebraska and the rest of New Spain, the French easily won the cultural war before they officially took over the area. Despite the Spanish naming the Platte River Rio de Jesus Maria, and the Loup River Rio de San Lorenzo, the French names for these rivers and many other geographic features in the state stuck. The French were there longer, behaved more amicably, and generally sought to stay uninvolved in inter-tribal affairs. The Spanish did the opposite, attempting to Catholicize native people, building garrisons in hostile areas, and warring on resistant tribes. The names they gave Nebraska were largely been lost to time. 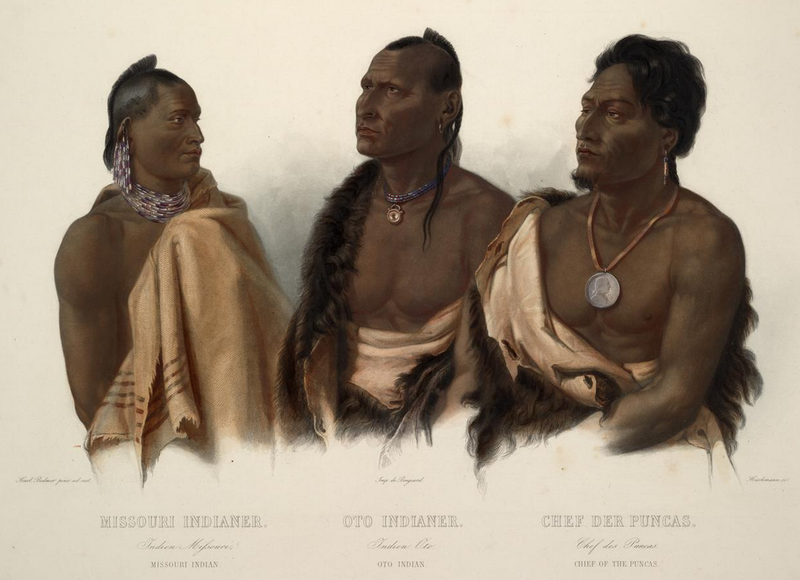 An 1844 illustration of a Missouri and an Otoe, and a chief of the Ponca. Since American economic interests drove genocide among the Native American population of the nation, it has been challenging to distinguish historical tribes, identify exact routes and accept the fluidity of boundaries in some areas. North Omaha was one such area. The Ponca, Quapaw, Omaha, Osage, and Kansas tribes share a lot of traditions, and among them there is a lot of evidence that they were once a single tribe in northern Kentucky, southern Ohio and southern Indiana. With homes located along the Ohio River, and their earliest roots might have been between 800 AD and 1550 AD in the middle Mississippian culture known to exist in that area. All these tribes speak a similar dialect of the Sioux language. 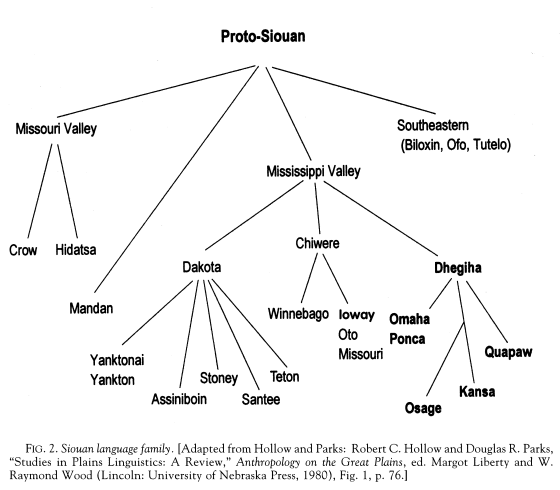 The Siouan language family tree, as presented by Ritter, B. R. (2002) “Piecing Together The Ponca Past Reconstructing Degiha Migrations To The Great Plains” Center for Great Plains Studies. The Ponca, Omaha and Kansas tribes were the last of the large group to split up. The first two tribes inhabited eastern Nebraska, including the Ponca Hills. When modern tribes moved into the Omaha area, they established large homes on top of the bluffs. The Ponca Hills loom 250 feet above the Missouri River. The Florence Table is a broad geographic plain that carries holds much of North Omaha above the Missouri River flats where East Omaha sits. These bluffs are still apparent at the Florence Water Works, behind Florence Drive, and extending east of N. 16th Street at Commercial Avenue all the way south to Cuming. At that point, the bluffs are less obvious because of the amount of topographic colonization city leaders have led downtown. However, the bluffs become more obvious in South Omaha, especially at the South Omaha Bridge over the river on down to Fontenelle Forest. All that about the bluffs is important because between early reports and later archaeological excavations in the early 20th century, evidence shows that tribes lived in these bluffs all along the Missouri River, including North Omaha. This contrasts European settlers reports that the area was empty of Native Americans when they got there. Instead, tribes kept large pit houses on each hill, with 35 to 50 people living in each one. Archaeologists surveying these homes’ remnants found multiple eras of inhabitation estimated to cover hundreds of years. There were also burial mounds in the Ponca Hills that dotted the cliffs north of Omaha. The history of Native Americans in North Omaha wouldn’t be complete without mentioning fur trappers and traders. Even after loosing cultural influence, the Spanish kept on and in the late 1700s, a Scotsman hired by the Spanish by the name of Mackey built a fort north of Omaha called Fort Carlos in honor of the Spanish King. Before the French acquired New Spain in the late 1700s, French trappers and traders flooded the region, swarming in from St. Louis, Fort Detroit, Quebec, and New Orleans. Spanish trappers were active, too. One was named Manuel Lisa, who worked for a French business called the Missouri Fur Company. Lisa was from a longtime New Orleans family, and built a two story building at the foot of the Ponca Hills in 1804 or 1805. It lasted for more than a decade, during which Lisa married an Omaha tribe woman, had two children with her, and established several other forts upriver. His Ponca Hills fort, which wasn’t far from the important Council Bluff popularized through Lewis and Clark’s visit, became an important site for trading among the Omaha, Ponca, and other tribes in the area. It closed after Lisa died in 1820, and was merged with Fontenelle’s Post in la belle vue. In 1812, a Frenchman named Robidoux built a more upscale post along the Missouri River for the American Fur Company. John Pierre Cabanné took over it afterwards, and ran a competing store against Manuel Lisa. Since they traded almost exclusively with the Otoe, it was sometimes called the Otoe House. Other times it was called the American Fur Trading House. Cabanné moved the operation to Bellevue in 1834. 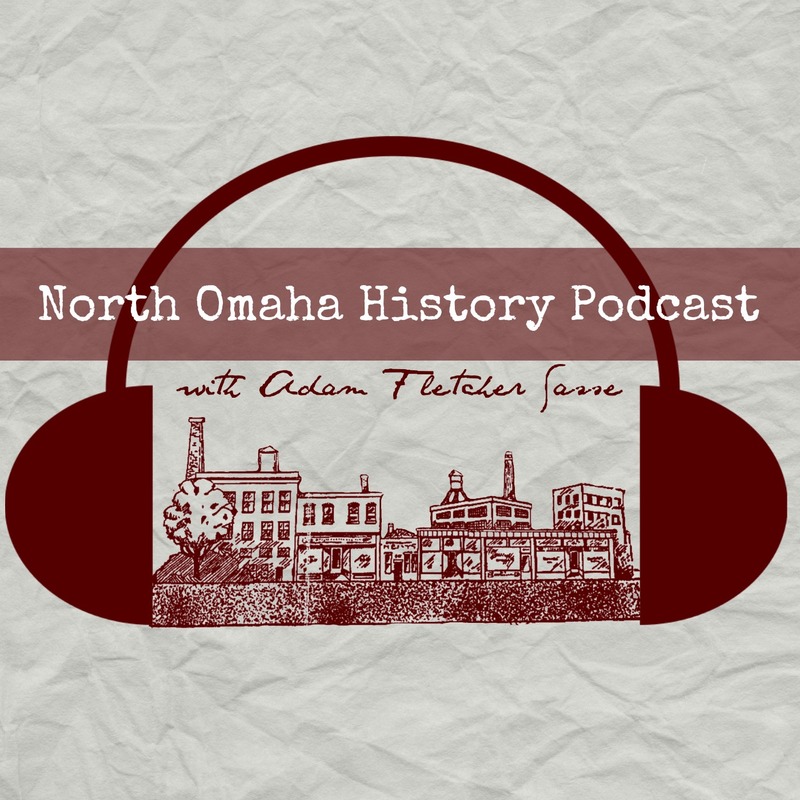 Learn more from my article, A History of Fur Trading in North Omaha. Smallpox blankets were intentionally distributed among Nebraska tribes. The United States government began their genocide in earnest against Native people in Nebraska by sending an expedition in 1834. During the following period, the United States government began taking away Native lands and infecting Native Americans with smallpox. Many tribes, including the Omaha, Ponca, Pawnee, and others, were decimated by European diseases purposefully spread by the Americans. In 1855, a group of Sioux from various bands fought against settlers at Ash Hollow, Nebraska. The government fortified the region immensely afterwards, including establishing a garrison in the new city of Omaha soon after. According to Smallpox: A History, in that same year the US Army started handing out smallpox blankets intentionally to tribes in Nebraska. Aggressive policies of stealing Native lands through corrupt treaty-making by shady American officials saw the tribal lands around North Omaha stripped away. In the 1863, the United States began a long war against the Cheyenne, Arapaho, Kiowa and Comanche tribes across the west, including the Nebraska area. The government opened all of the Plains to mass extermination of the bison during the 1870s, intentionally undermining the Native lifestyle that was dependent on large herds roaming freely. This continued through the 1880s, when the pioneer era was declared done and the tribes were no longer seen as a threat to the United States. In 1887, a federal act reneged on almost every treaty by authorizing the breakup and sale of large reservation land to settlers. 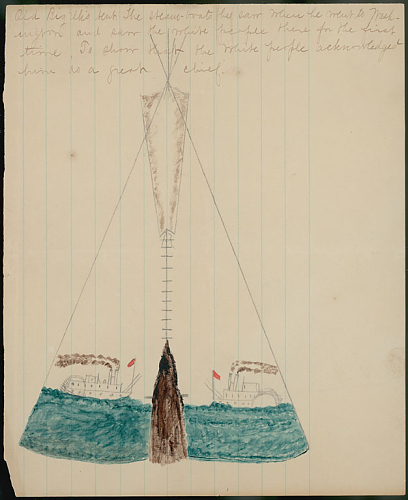 This is a drawing of Omaha chief Big Elk’s tipi from 1867, drawn by Omaha pioneer George Miller. Lewis and Clark famously met with a number of local tribal leaders in 1804. An interesting fact is that the Council Bluff where they met was actually located north of Omaha! Six Otoe and Missouri chiefs were given medals and trinkets from these government officials. In the 1830s, the US government forced several tribes from east of the Mississippi River to move west of the Missouri River. The Missouria, Ojibwa, Otoe, Otawa and Potawatomi were moved to the North Omaha area as a temporary camping area. That lasted for a few years, with tribes camping approximately along the draws where the present-day Ponca Road and Interstate 680 run. These tribes were eventually moved away. By the 1840s and 1850s, the United States’ campaign towards the extermination of Native people was well underway, and the romanticization of Native American culture hadn’t begun to preserve historical evidence. Few groups showed any respect to the inhabitants of the United States’ Indian Territories, including present-day Nebraska. The founders of Omaha didn’t respect the tribes. More so, they anxiously awaited the opening of Indian Territory, especially Nebraska, because they wanted to build a city there. Before the federal government said “GO!”, they moseyed across the river to have a picnic on their soon-to-be city. As soon as the doors to Nebraska Territory were opened, settlers poured in without recognition or remorse for the culture, heritage and pride they were destroying. 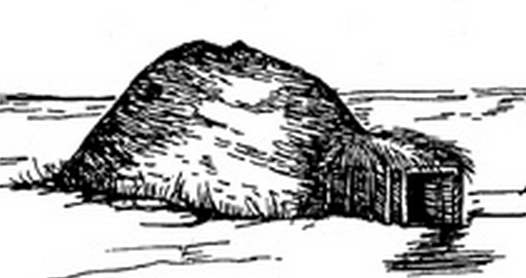 Early pioneer storytelling of North Omaha highlighted the story of Gophertown. A group of Irish immigrants arrived in Omaha in the 1850s, only to not find work in their new country. Broke, they went north of Omaha to the town of Saratoga, and not finding work there left to Florence. On their way out of Saratoga town, they came across a ridge with circular dugouts already carved into the ground. They quickly made roofs on them and made them their new homes. These may have been the tribes’ pit houses. In the 1870s, the government removed the Ponca tribe from their native homelands in northeast Nebraska to Oklahoma. Standing Bear, whose son died in Oklahoma, was denied the right to return his son’s body to the homeland. Rather than comply with American policy, Standing Bear left Oklahoma with a small group. After conducting their funeral rites, the tribe was arrested by US Army troops from Fort Omaha. Brought to the fort, its commander General Crook was appalled to hear about the conditions in Oklahoma and how the Ponca were forced from their lands. He held a trial in which Standing Bear sued the US government to be seen as a human person with inalienable rights. The court found on the side of Standing Bear, and he was released with his people. Soon after he went on a speaking tour in the Eastern US and Europe, and when he returned he joined some of his tribe that had returned to northeast Nebraska permanently. He died and was buried there in 1908. 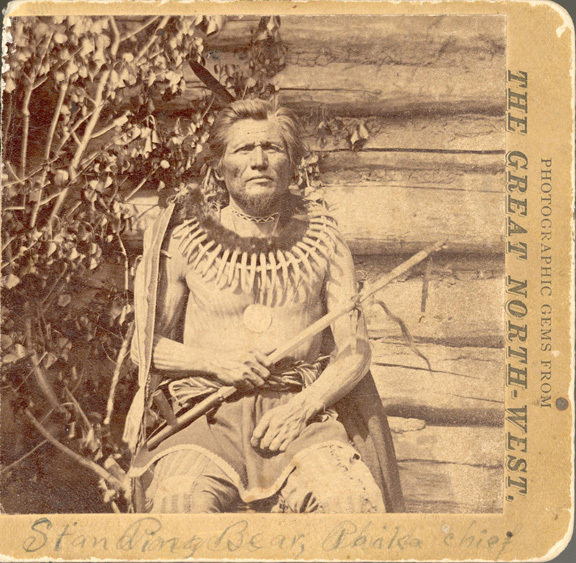 Standing Bear, the Ponca chief who stood on trial in North Omaha in 1879. In 1945, the United States government adopted a policy of disbanding all Native tribes. Nebraska’s Ponca tribe was squarely in their sights, and in 1965 the tribe was entirely unenrolled by the government. In the 1990s, the Ponca tribe regained its federal recognition as a formal entity. The tribe has worked steadily since then to explore and reignite passion for their culture, heritage and background. The organizing committee of the Exposition decided they wanted to illustrate the daily life, industry and traits of as many tribes as possible. However, once the Indian Congress was open, feedback from attendees said they wanted to see dances, games, races, ceremonials and sham battles. Within a week, the Indian Congress participants were participating in re-enactments and the Ghost Dance. 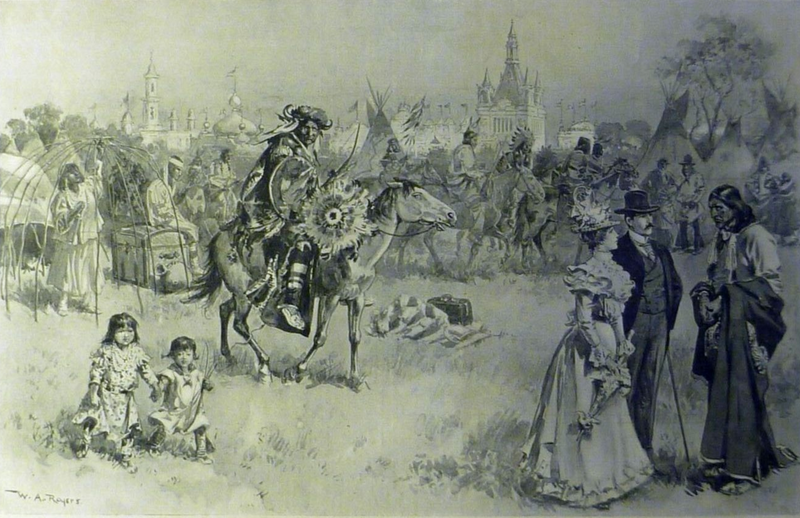 A drawing of the Indian Congress at the 1898 Trans-Mississippi Exposition in North Omaha. Native America is alive in North Omaha today, and has been throughout all of Omaha’s history. The contributions of Native Americans in recent times are often ignored in Omaha and throughout Nebraska. Omahas allowed the Mormons to stay on their lands in the 1840s; many Nebraskan tribal members served in the World Wars; provisions from Nebraska’s Native American population shared with early settlers is what allowed many of those people to survive. Julius Meyer and other Omaha pioneers sold Native American culture in their “curio shops” from the 1860s through the 1940s. Other developments are boosting Native Americans in North Omaha and the US today, including casino gambling, telecommunications, and high-tech industries. Tribes are developing language immersion programs, effective educational opportunities and more today because of enhanced self-governance initiatives. Over the last 25 years, the Metro Community College in North Omaha has hosted an annual powwow. Dancers and participants from many tribes, including (but not limited to) the Northern Ponca, Omaha, Santee Sioux and Winnebago, come to socialize, dance, eat, and more. They listen to music, celebrate art, share oral histories and more. Native American North Omaha is alive and well today. There are more than 3,000 people in North Omaha zip codes who identify themselves as Native American. The Native Indigenous Centered Education (NICE) program at Omaha Public Schools believes, “educational success and life achievement for our Indigenous population is accomplished by advocacy, sustained cultural identity, family involvement, strong communication and positive life experiences.” The Ponca Tribe of Nebraska, which had its land taken away in the late 1800s, is getting a 19.5-mile trail segment in Southeast Nebraska back in its name, representing the first officially owned tribal land in 135 years. Other cultural, educational, economic, and community events are constantly underway. Maybe one of the biggest developments for Native American North Omaha is the rebounding population among most tribes. Wishart, D. (1995) An Unspeakable Sadness: The Dispossession of the Nebraska Indians. University of Nebraska Press. Metro Community College. Annual Powwow. Gilder, R. F. (1905) “Acheology of the Ponca Creek District“. 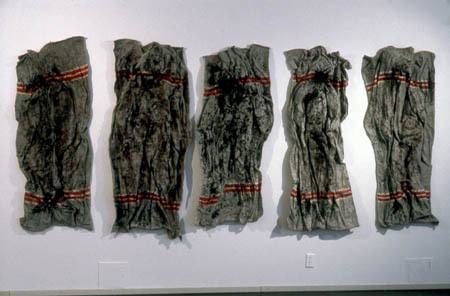 Hacck, M., Wolf, A. H., and Gunderson, H. L. (1975) “Robert Fletcher Gilder: Archeologist for the Museum“, University of Nebraska State Musuem. The Nebraska Aborigines as they appeared in the Eighteenth Century – A 1913 document that includes a historical scan back to 1541. Savage, J. W. (1885) “The Discovery of Nebraska“, Nebraska State Historical Society. David M Gradwohl, “Fred H Sterns: A Pioneer in the Pursuit of Plains Prehistory,” Nebraska History 59 (1978): 180-209. Carlson, G. F. (1994) “Europeans and Americans,” Nebraska History. This is a map of the locations mentioned in this article. 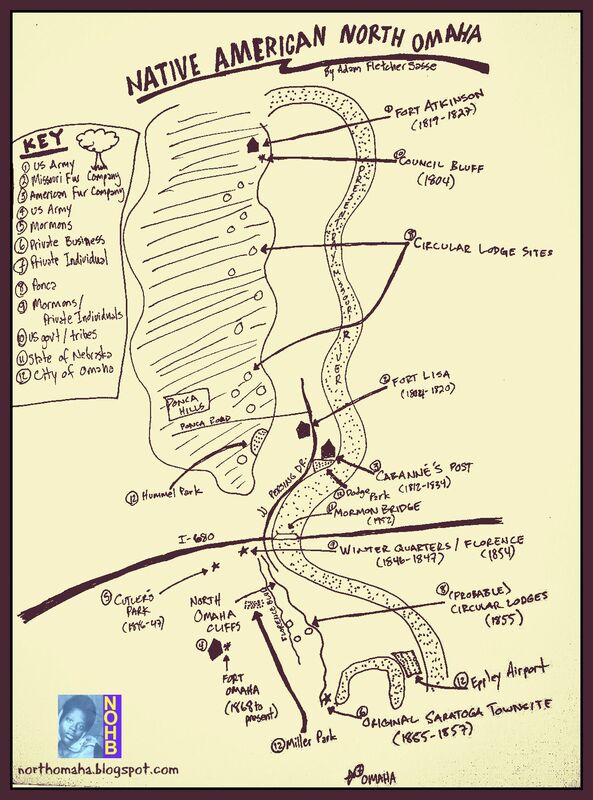 Native American North Omaha Map by Adam Fletcher Sasse. Contact me for full-size graphic and permissions.